Black and white image of Burroughs E101 computer. A group of people are sitting around the E101 and there is a WJBK-TV camera in the image. 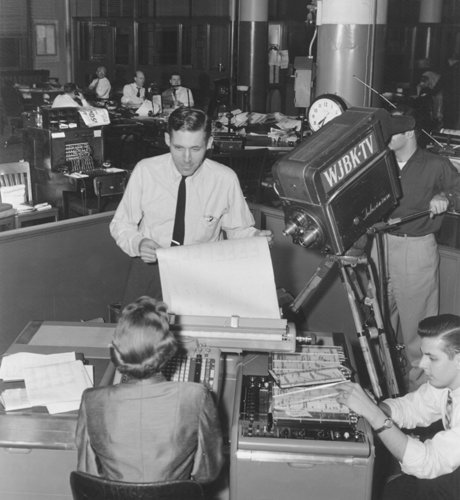 The E101 was used to forecast presdential elections.Verso of image notes that George Kalb is in center.